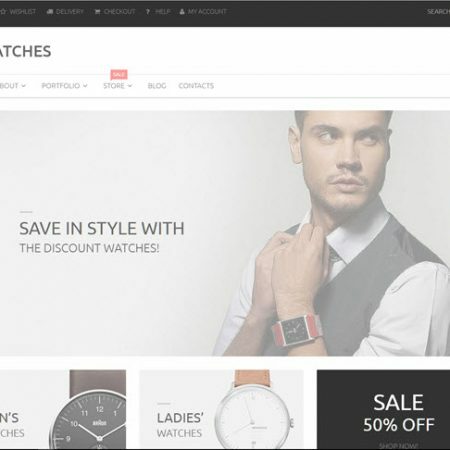 The new owner of this website business will receive a great looking website as well as a matching branded profile on Udemy which is already generating an income. 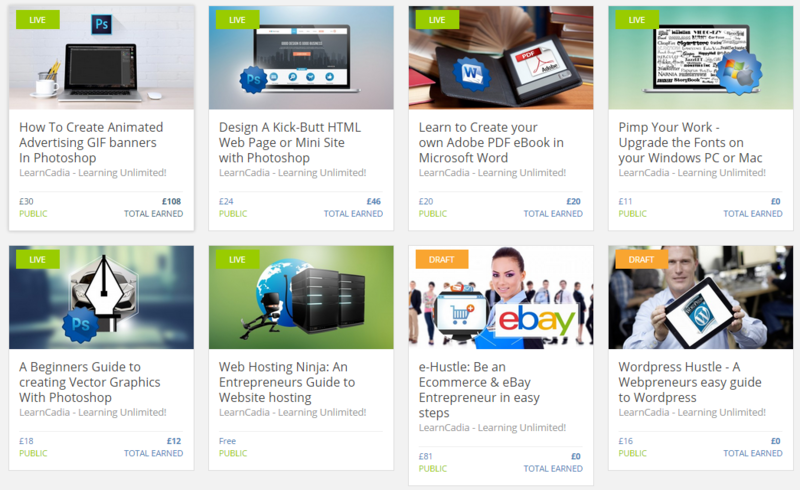 Purchase the whole business & Udemy account from us and own it out right. Invest in this business with us and receive a assured payment every single month as a % percentage of all sales generated (Learn more about this below). Your investment would enable us to scale & grow the business. 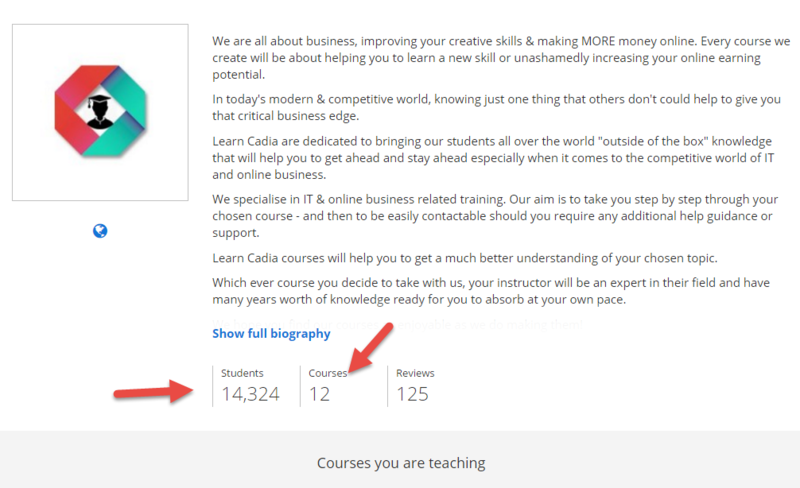 Established in 2015, Learn Cadia is a passive income generating Online Learning business opportunity that will also come with a instructor account on the very popular & growing Udemy (also titled "Learn Cadia"). 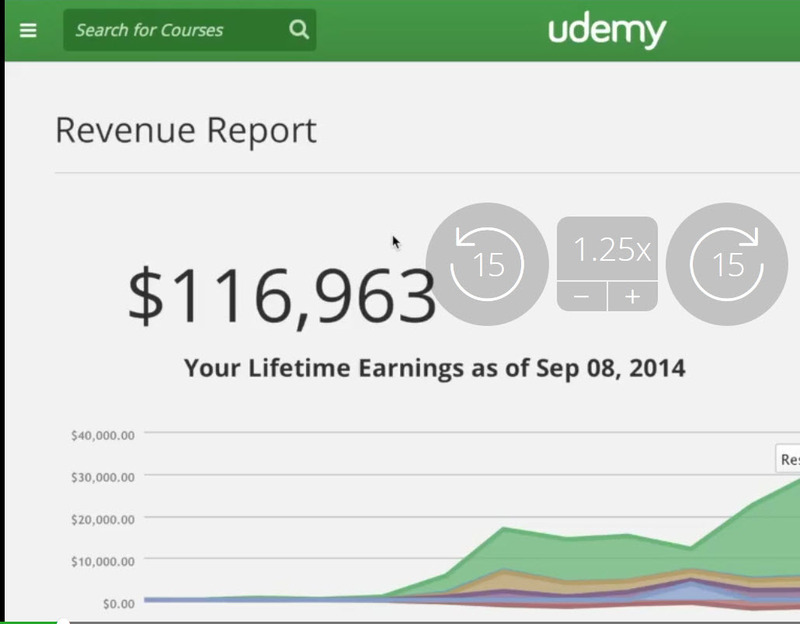 Udemy is a online learning platform with millions of students. 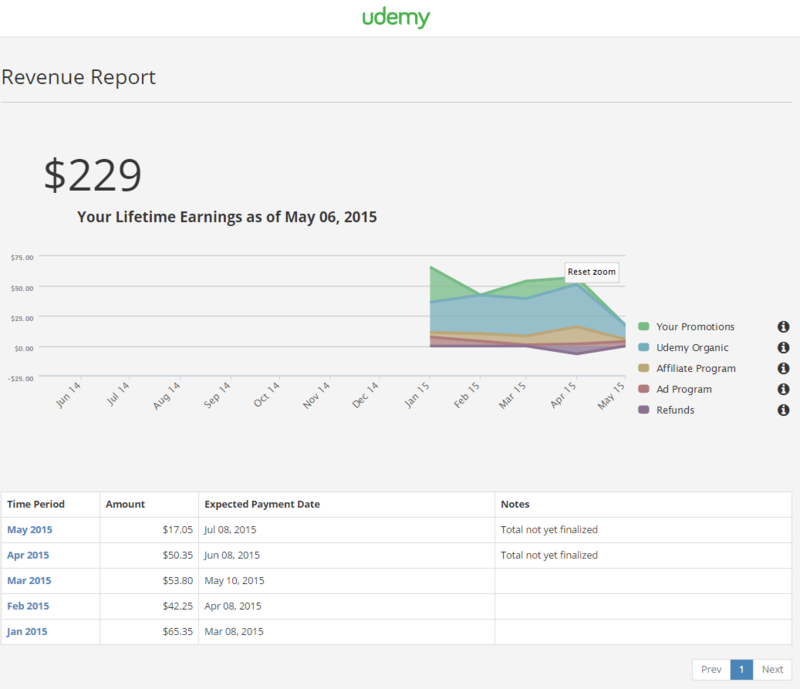 This business is actually already generating a passive monthly income via the Udemy Online learning platform - which can be increased with the addition of more video courses for new students to be able to take and lean from. 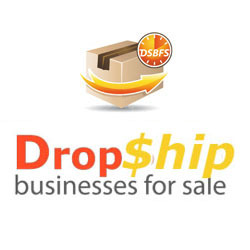 The new owner of this business can further increase the businesses monthly income by simply promoting the existing courses via the popular social media platforms. Also, the creation of new courses will lead to even more students joining the business. Over 14000 students and rising daily! 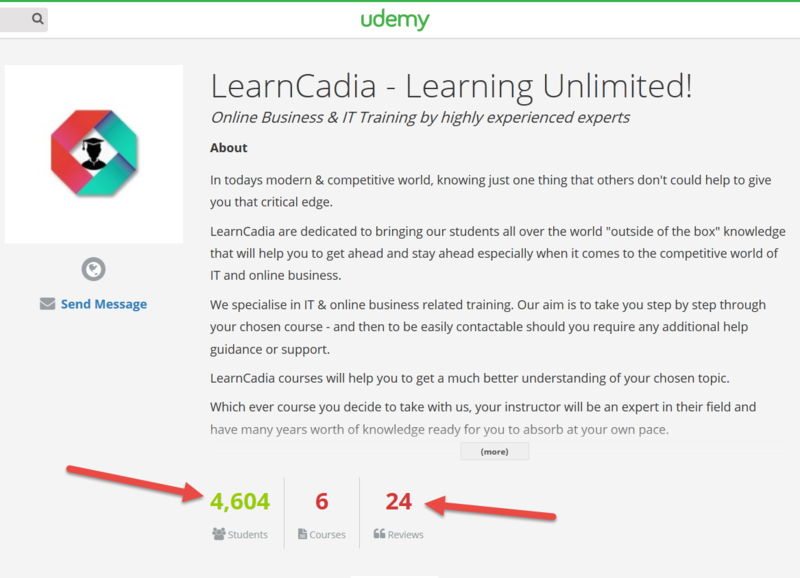 On the Udemy Learn Cadia already has over 6800 loyal students and this number continues to grow automatically on a daily basis. The great thing is that once someone becomes a student, then they remain a student of the business for life. You can then market any new courses that you create to your existing students - which usually leads to an influx of new student enrolments onto your new course - and money in the 'bank'. 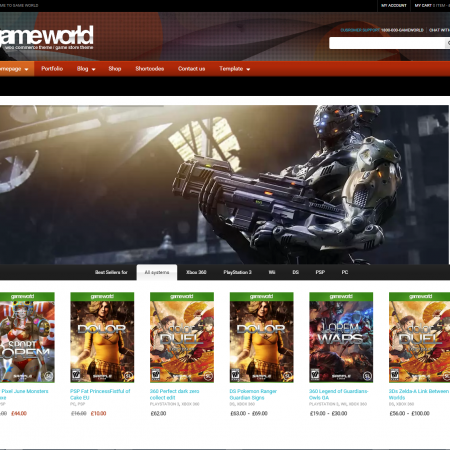 The new owner of this business will own the copyright to the existing Learn Cadia courses which generate a monthly income on autopilot. Although the currently ncome may seem low, it is consistent an will come in for life without you lifting a finger. There are currely 6 courses that will come with this business. In order to increase monthly income you need to simply create more courses ( we can help you with this if you're not a course creation kind of person :-), or you could of course just increase promotion on the existing courses. 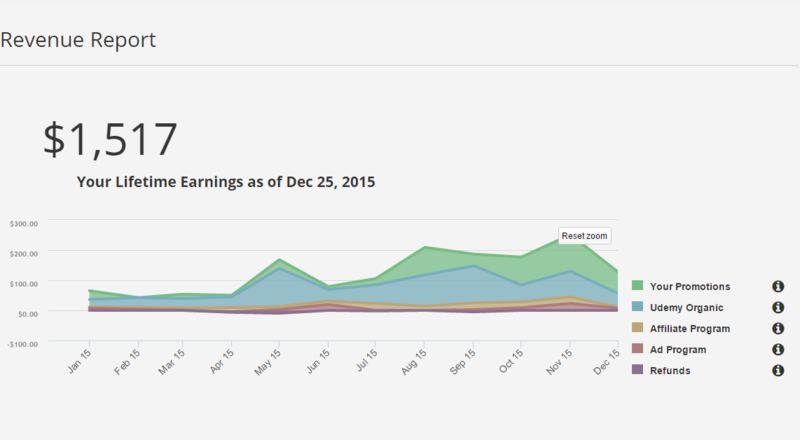 The image to the left shows the monthly breakdown of earning from this business. The figures shown were achieved with absolutely NO promotion whatsoever. If you were to commence your own promotion then you can expect the monthly income achieved to be much higher. Rather than just having your money sitting in the bank & earning measly interest, why not invest your capital with us into this already profitable online website business - for an assured monthly income? Online learning portals are a huge growth market for the future, and your investment would allow us to scale the business by taking on more expertly trained staff who would be able to create some really Awesome courses to entice more students in. We are super confident that with the right investor / partner we would be able to take our student count to 20,000, 50,000 or even 100,000 active & egar to learn students - at which point we would expect monthly income being generated to be between the $20,000 - $30,000 per month mark. This monthly income would then be divided up between us and any investor/s. So lets set about creating the next big thing in online learning. 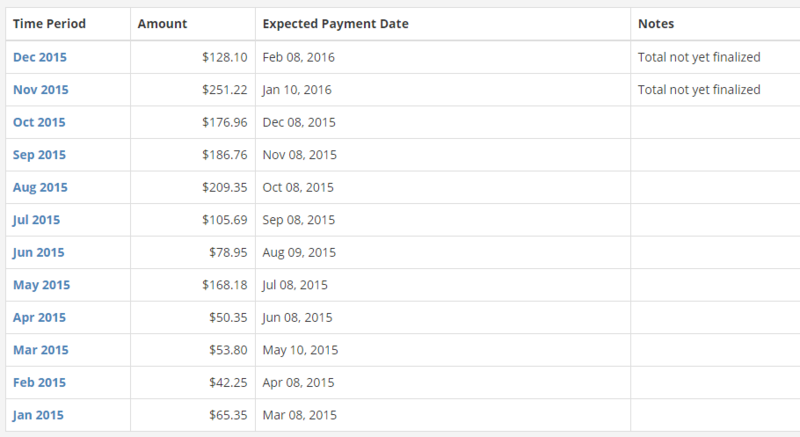 Check out a COMPETITORS Udemy Earnings! This could be a completely hands off investment opportunity for you. You can be as distant or as involved in the business as you would like to. We would create all the courses and build the team that is / would be required to keep the students and income coming in every single month without fail. You could then chose if you would like to receive your payment Monthly, quarterly or a guranteed lump sum every year - it's entirely up to you.